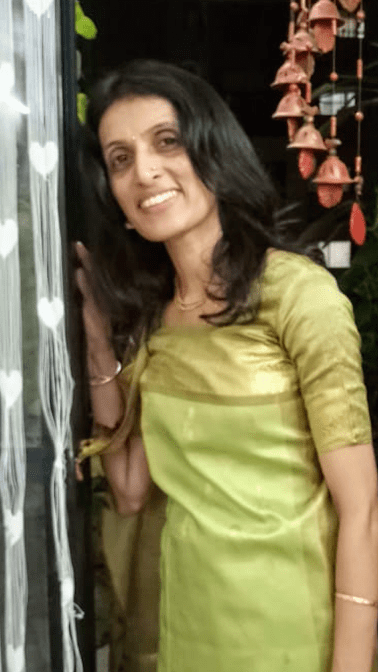 Kokkalemada Manjula Devaiah, a regional compliance manager (India and Sub–Saharan Africa) with a US -based multinational company has come a long way from her rural roots in Balele, Kodagu. Hard work, grit and determination have driven her pursuit of a legal education and a corporate career, but her heart remains in Kodagu. Keen to grow paddy in Kodagu, Manjula feels traditional methods of cultivation that are manual labour intensive should not be seen as a deterrent. Instead, embracing available technological innovations should be the way forward to once again cultivating paddy, a traditional crop in Kodagu. 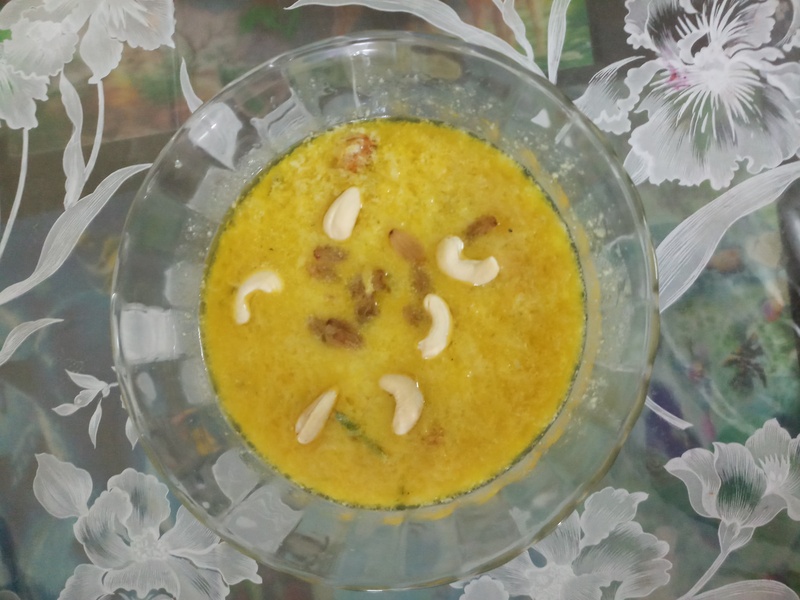 Manjula shares her recipe for Kumbala Payasa, a delicious dessert made from pumpkin and sweetened condensed milk. Boil the milk until it has condensed to half the original volume and set aside. Heat ghee in a deep pan, then add the grated pumpkin and fry on a low flame for 12-15 minutes, or until tender. Add the grated coconut, followed by the nuts and raisins and fry till golden brown. Now you may remove the pan from the stove, mix in the condensed milk, and garnish with the remaining nuts. Enjoy this delicious dessert warm, or chilled in the refrigerator. 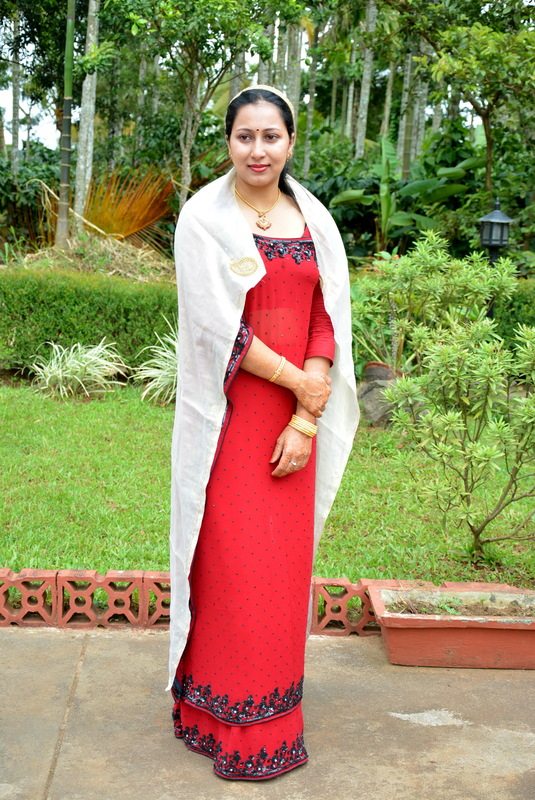 Megha (in picture) shares a strong bond with Coorg from her maternal side. She spent most of her summer holidays with her grandparents exploring nature, and Coorg delicacies. Brought up in two entirely different cultures gives her an outside perspective. Coorg has also been her favourite because it reminds her of her childhood. When not eating or strolling in her coffee estate, she runs a homestay with her mother and loves to entertain her guests with her cooking and stories. Pan fry in oil until well roasted. Serve hot. Rachel Bheemaiah is a yoga instructor by profession and at present teaches power yoga at Akshar Yoga Institute at HSR Layout in Bangalore. Married to BiddandaBheemaiah, and the mother of twin toddler boys, Rachel has strong roots in Coorg. 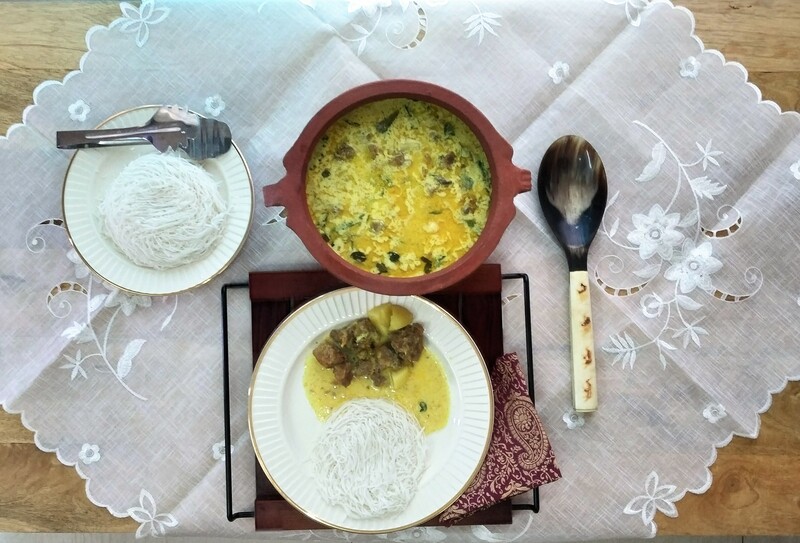 She shares a recipe for a nourishing mutton stew made Kodava style. Marinate the meat with a little salt, turmeric and chilli powder for 2 to 3hours. Pressure cook the meat for 20 minutes on medium fire. In a deep pan or kadai, pour the thin coconut milk, all the spices, onion, ginger, garlic, green chillis, curry leaves, and lastly, the meat. Cook on low heat until mutton is tender. Make a thin paste of the maida with a little water or coconut milk. When the meat is cooked, add the maida paste to the kadai and cook till gravy is thick. Add cooked potatoes and the ghee.Simmer. Finally, add the thick coconut milk and remove from the fire. 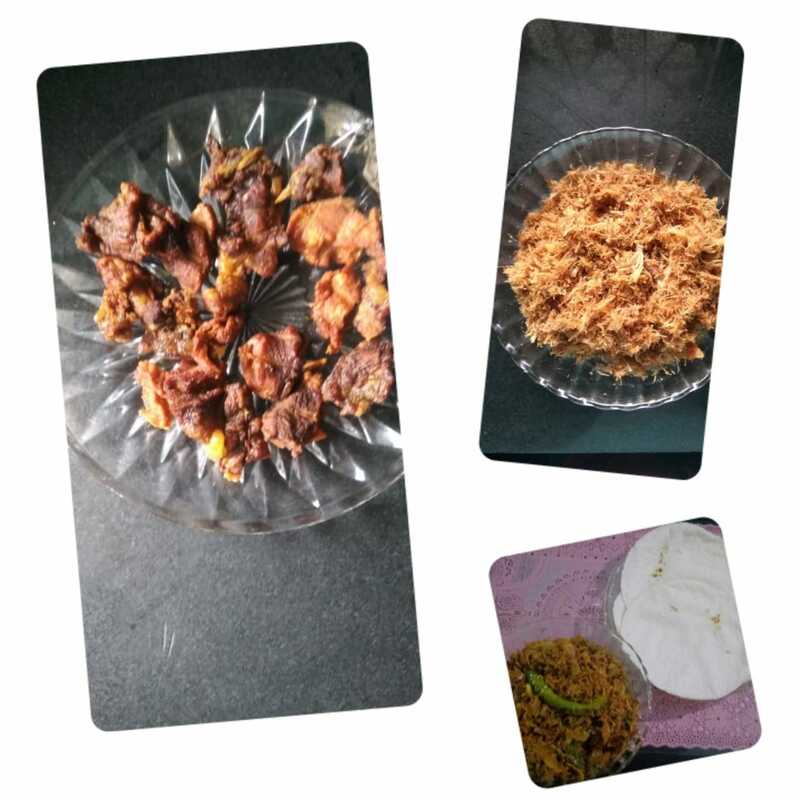 Serve hot along with paputtu or noolputtu. The featured recipe this month comes from Kodandera Panchami Praveen (in picture), an entrepreneur based in Gonikoppal who specializes in catering desserts and baked goods. Marinate pork pieces with kachampuli, and half the chilli powder, turmeric, and salt. Set aside for ten minutes. Place the meat pieces on the grill rack and grill for 80 mins @250C. Remove from the grill rack, cool, then grind coarsely. Do not over-grind. The meat should remain thread-like. Next, heat a pan, add oil, then onions and sauté till soft. Add green chillies and bird eye chilli and sauté for a minute. Add add curry leaves, and the remaining red chilli powder, turmeric, and salt. Stir to mix, then add the shredded pork, mix well, then add lime juice and water. Cook till it is dry. Check the seasoning, garnish with coriander leaves, and relish with akki otti (rice roti). Regular readers of this site will no doubt have seen (and hopefully tried out) Nimi Chengappa’s (in picture) delicious crab curry recipe. 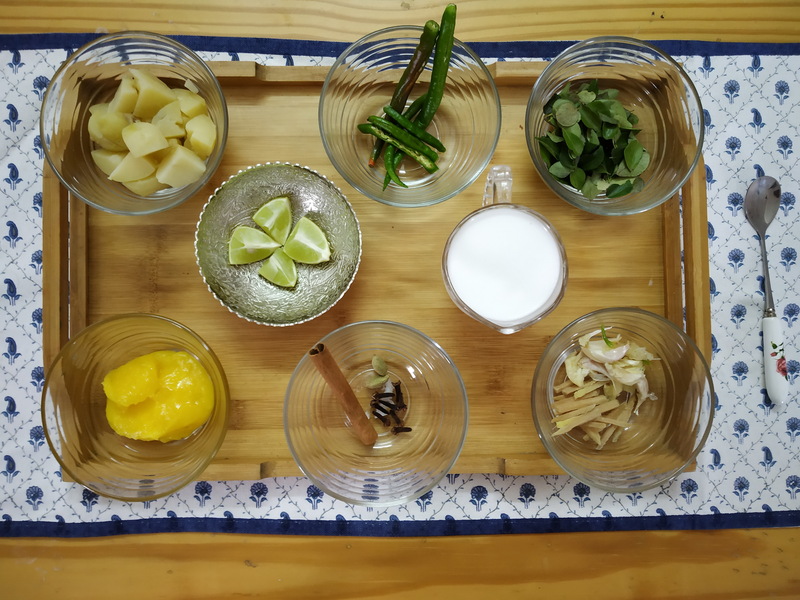 Here she shares her recipe for Kaad Maange curry that had Chef Thomas Zacharias of Bombay Canteen smacking his lips. He featured it in a National Geographic Traveller Magazine list of his Top Ten dishes to get packing for! Place the mangoes in a deep vessel, add all the remaining ingredients and enough water to just cover the mangoes.Cover and cook until the mangoes have given off their juices and the curry has thickened nicely. I have been documenting various aspects of Coorg (Kodagu) for over one and a half decades through my websites, books and videos. The idea is to develop resource material on Coorg. In the absence of a script for the Kodava language, there was not much documented material available on the history and culture of Coorg. It was only after the British annexed Coorg in 1834, various aspects of Coorg life and culture were chronicled by the British administrators. I am of the view that documenting life and practices of a community cannot be done by one individual. It requires a multidisciplinary approach, as with my book “The Romance of Indian Coffee” which won a prestigious Gourmand World Cookbook Award in 2016. In the circumstances, I invited several writers and researchers to contribute their expertise. I wish to thank them all, especially Boverianda Chinnappa and Nanjamma, who have been of great help. During the course of my research and documentation, I realised Coorg had a rich culinary tradition which was worth preserving. To that end, I put together the Coorg recipes website www.coorgrecipes.com in 2006 with assistance from knowledgeable persons. 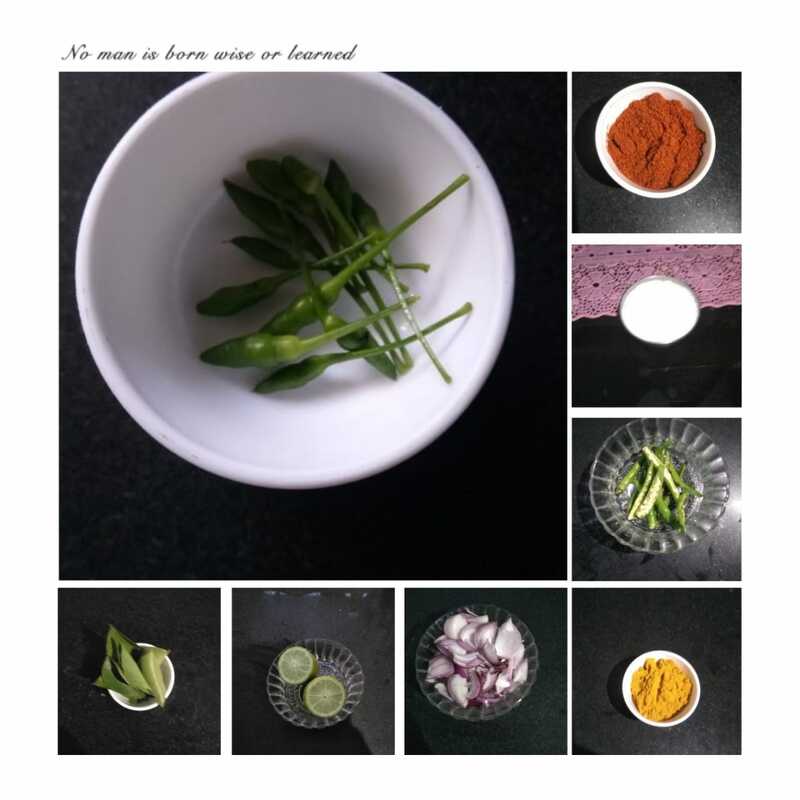 There was provision in the website for people to contribute their Coorg recipes. Over the years, the recipe website has garnered a rich collection of Coorg recipes contributed by home cooks. With the internet boom, there has been steady traffic to the site, from readers seeking Kodava recipes. People living away from Coorg have found it an invaluable resource when seeking recipes for traditional favourites. 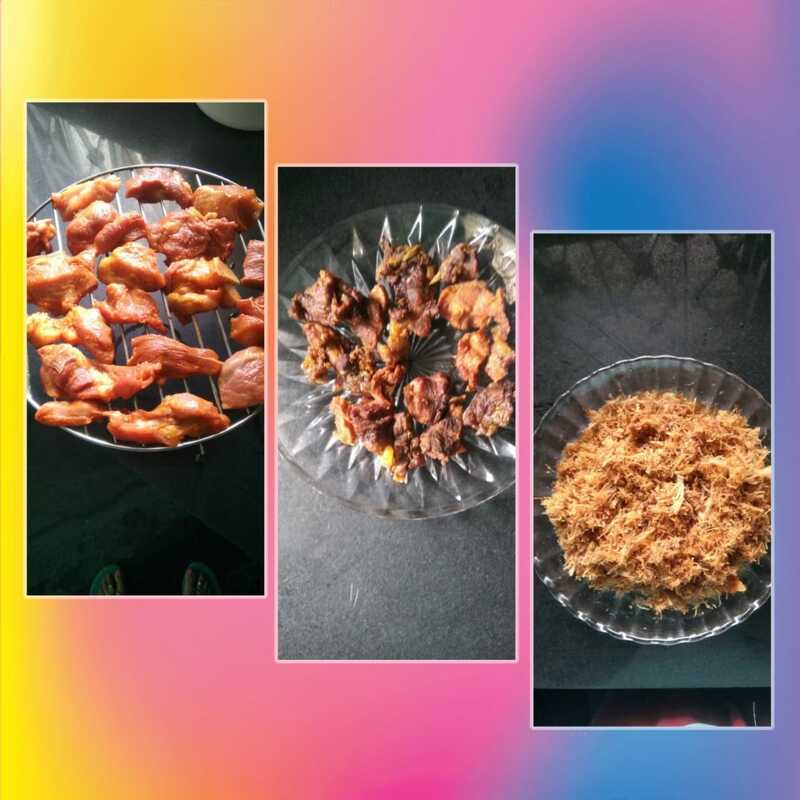 Not being too familiar with culinary practices myself, I felt the need for involving someone knowledgeable in the field and with food writing experience, to curate the site to ensure the quality of the recipes being featured. 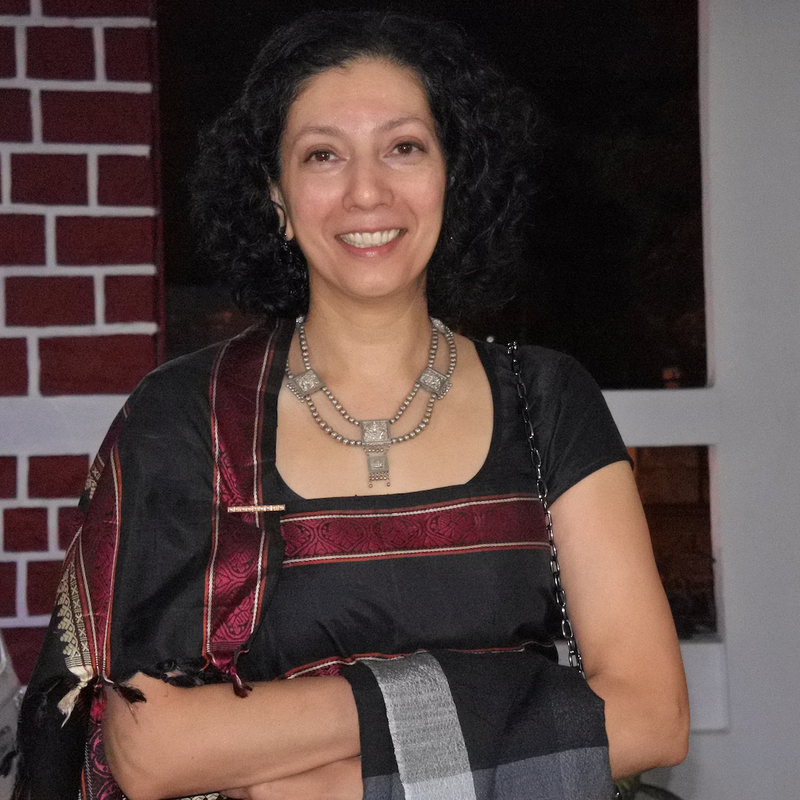 I roped in Biddanda Shalini Nanda Nagappa (in picture), a Canada-based food blogger, who hosts “A Cookery Year in Coorg”, the most authentic Coorg food blog. Her popular blog features well-researched articles and family recipes. I am pleased to announce that all this rich material on www.coorgrecipes.com is in the process of coming together in book form, which will be a more handy format for readers. 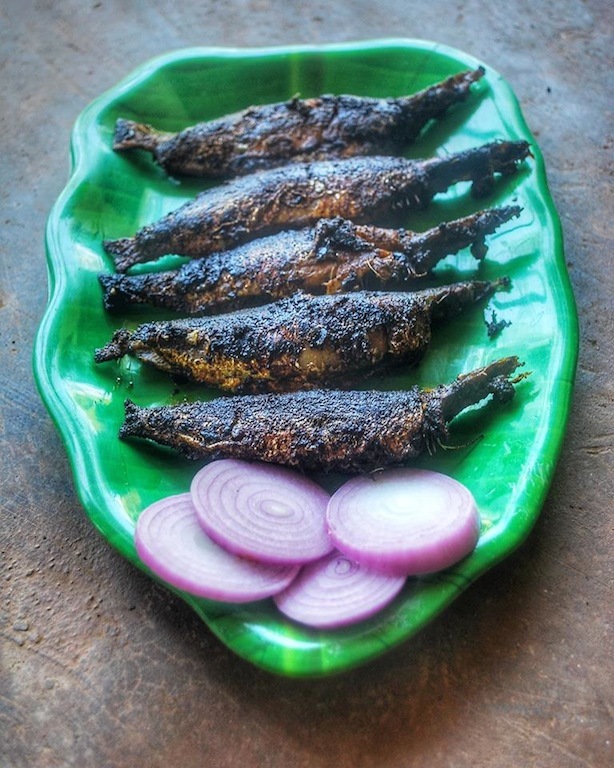 The recipes range from traditional favourites, to innovative takes on classic preparations.They include top chef Naren Thimmaiah’s recipes for fish and chicken preparations in the Coorg style. 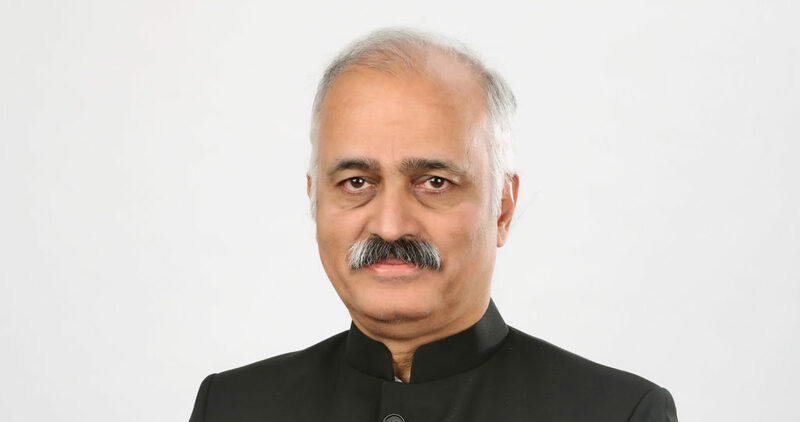 The book will also feature interviews with personalities in the culinary and cultural fields, and essays on various aspects of Coorg food and culture that have been contributed to the site. The proposed book will be well-illustrated with colour photographs of ingredients and preparations. The book will be curated by Shalini Nanda Nagappa. 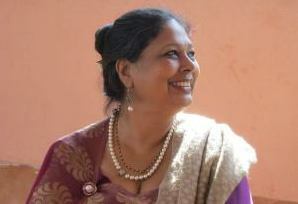 Roshi Atrangada (in picture) is a HR professional living in Dallas, Texas. 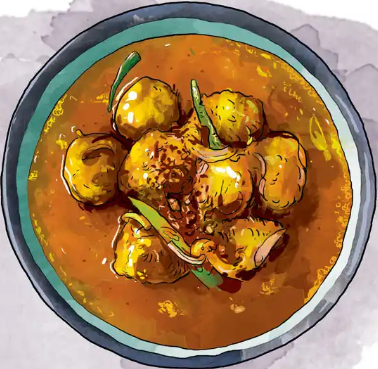 She grew up in Coorg, and after moving to the US, began craving Kodava food – leading to experiments in the kitchen, like trying to make nooputt from Chinese rice noodles! Her husband and children love traditional Kodava food, particularly otti, and she is happy to oblige. The recipe she shares here is “Ell Adige” – a nutritious sesame halva for new mothers. Says Roshi, “It’s normally given to women in Coorg after delivery as a part of postnatal treatment. 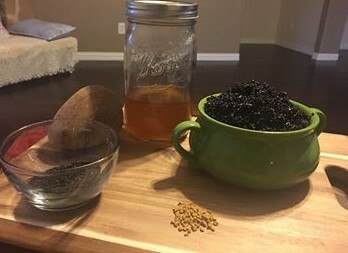 Sesame seeds are great sources of calcium, phosphorus, magnesium, iron, and copper, and replenish the essential minerals that your body needs to recover properly. A small bowlful is given to new mothers. Normally it’s given after 45 days from the birth of the baby. It’s said it helps in removing water retention from the body”. Wash and dry sesame seeds, then roast and grind coarsely. Make jaggery syrup of one string consistency. In a wide, thick bottomed pan add jaggery syrup, ghee, sesame mixture, grated coconut and methi powder. Mix well and cook on a medium flame stirring occasionally, until ghee leaves the sides. A new chain of restaurants is slowly taking wings in Coorg, South India’s most sought after holiday destination. And the driving force behind the restaurant chain is a homegrown lady entrepreneur. 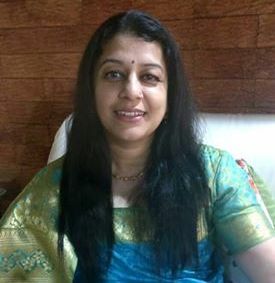 Mukkatira Pavitra Ganapathy (in picture) opened her first outlet at Virajpet in 2009, and named it ‘Pause the Unwind Café’. There has been no pause for her ever since her entrepreneurial debut. As the name suggests, ‘Pause the Unwind Café’ is a good place to hang out with a cup of good filter coffee and a brownie or a burger. The menu at the Café is kept simple with biryani, appams and fish/ chicken curry for lunch. The main focus is on pastries and cakes giving foremost priority to quality. As the demand grew, Pavitra took a big leap and opened two more outlets, one each at Madikeri and Gonikoppal towns. Tagging along with her father Kalamanda Pemmaiah, a banker, she had the opportunity to live in various parts of India and different districts of Karnataka. She developed a flair for cooking and interior decoration. Her wedding trousseau included a 400 page hand written recipe book given by her mother Kalamanda (nee Natolanda) Poovie. Marriage to Mukkatira Prem Ganapathy, a coffee planter brought her to the small town of Virajpet. She ignited her passion for food by making elaborate dinners and lunches for family and friends. She tried every recipe from her mom’s cookbook. She dabbled with chocolate and candle making and also glass painting for a couple of years. But the joy of baking for her family on birthdays and anniversaries enlivened her. She also identified and felt the dearth of a good cake and pastry shop at Virajpet. She updated herself with professional baking and cake decorating skills at Bengaluru and Pune. 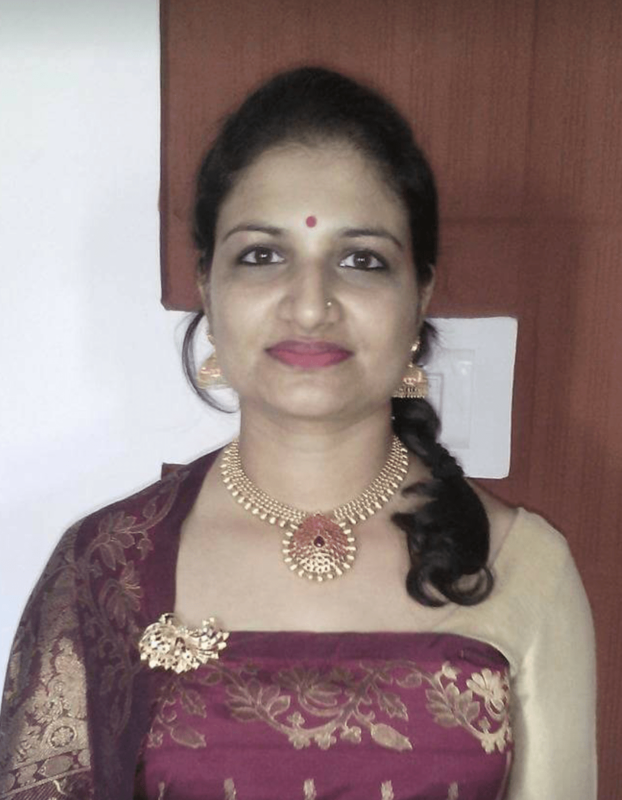 In 2005 she launched Crème ‘dela Coorg from her house and turned her leisure-time hobby into a flourishing home based business. The Coorgs (Kodavas) have imbibed the western culture of cake cutting ceremony at weddings and engagements and also serve cake as short eat at various functions. Pavitra was able to spot and seize this opportunity and took a plunge to cater cakes and desserts. She also supplied burgers, pizzas and pasta to the local dental college cafeteria. The growth of tourism in Coorg also enhanced her business and made it a viable venture. Being a woman entrepreneur in a small town is definitely a challenge. But with the support and encouragement of her family she was able to break the glass ceiling. She has upgraded her baking and decorating techniques and is on par with the big brands in the larger cities. Pavitra’s story as an entrepreneur will be a beacon for other women especially in Coorg who seek to create their own next big leap. It was a walk down the memory lane for me (author in the picture) at the museum-like ambience at Gonikoppal town’s Papera restaurant in Coorg in Karnataka. The owner of Papera, Adengada Rajesh Achaiah, who serves authentic Coorg cuisine, has been collecting traditional Coorg artefacts for the last two decades. It was a nostalgic moment for me as I got to recall my early teenage years over five decades ago at my ancestral home at Kadangamurur, near Virajpet town in Coorg, where I grew up in my early years. Most of the items displayed at Papera were in daily use in Coorg households several decades ago, but have almost disappeared now due to ‘modernisation’. They include clay pots and pans, wicker baskets, fish traps, puttu presses, ladles, rice measures, etc. Though I had seen most of the items on display during my early teens at the Nadmane (ancestral house), there was one item on display which I had not seen. The item consisted of two thick sticks, joined in the middle. Rajesh explained to me that the contraption was used for castrating a bull! 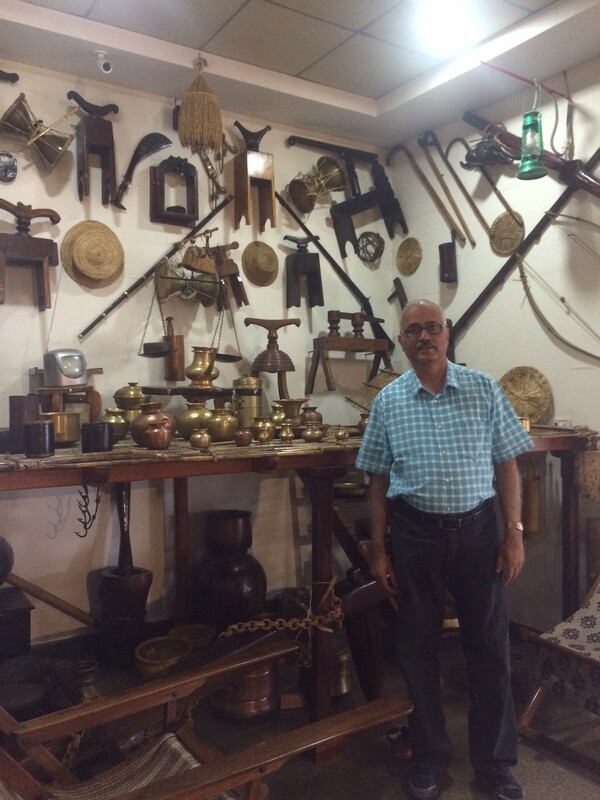 Rajesh has used every available space in the restaurant for displaying traditional household items used long ago in Coorg. Asked to name his favorite item, Rajesh pointed to an earthen pot (Shakala) made out of a single piece used for reheating food. Rajesh says most of the customers to his restaurant take selfies of the displays as they wait for their food to arrive. 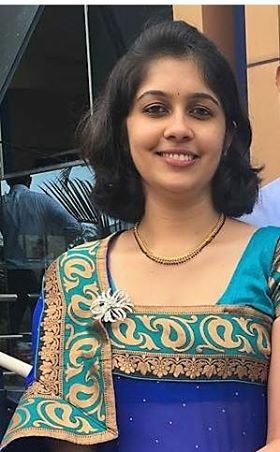 Nivedita Kaveriappa Muddiyada (in picture) is a foodie who loves to try new dishes. 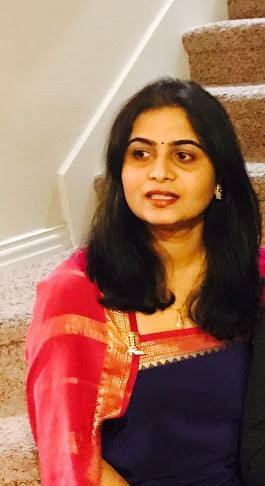 Now working in the US as a Director of Engineering for a startup, Nivedita finds using idli rava a handy alternative when traditional thari for kadambut is not available. In a saucepan, mix idli rava, water and salt, and bring it to a boil. Mix well until the rava and water start to come together. Lower the heat to simmer and add the ghee. Keep stirring until the mixture becomes like a dough. Remove from the heat and prepare small balls. 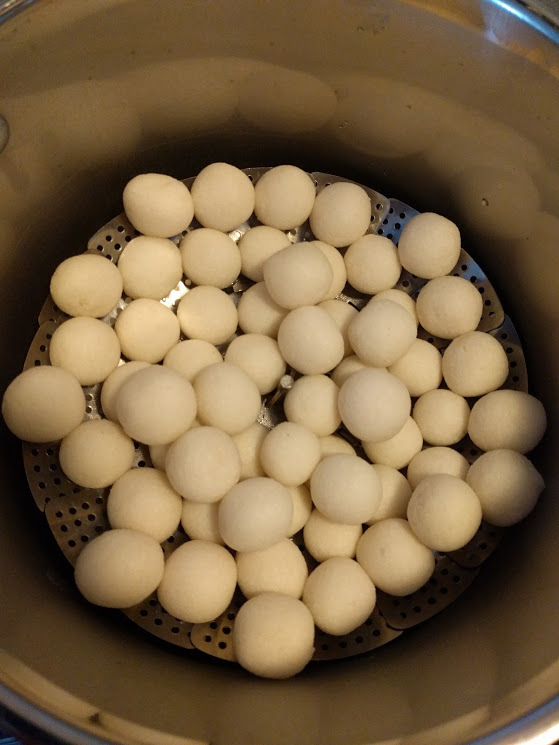 Steam the prepared balls in a steamer.